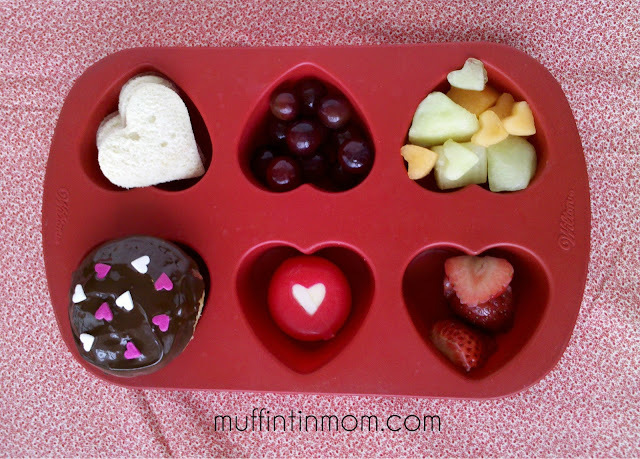 In this cute kids muffin tin lunch: heart shaped sandwiches, red grapes, mini heart shaped cantaloupe and honey dew, strawberries, babybel cheese with a heart cut out, vanilla cupcake dipped in melted chocolate chips. Such a pretty meal! Thank you hosting.